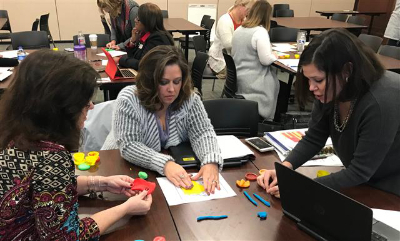 With spring in the air, teachers and students are busy preparing for the Georgia Milestones. 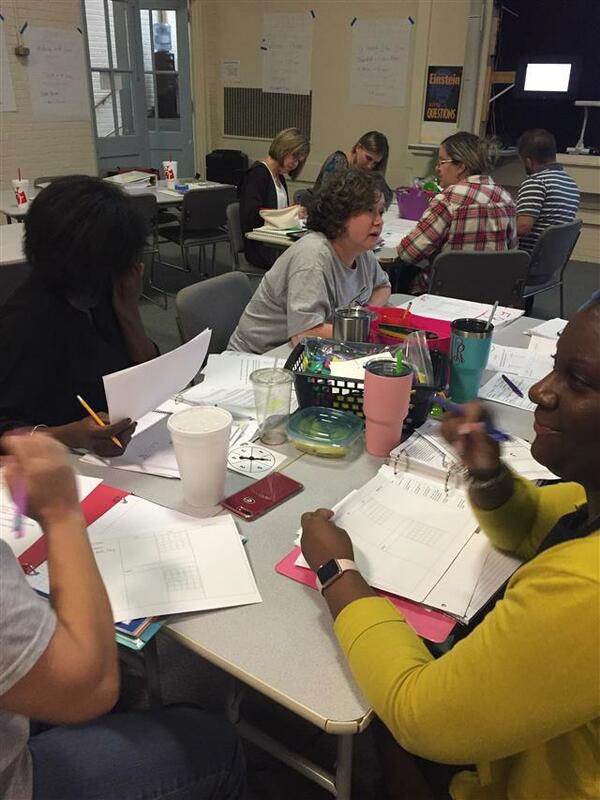 In addition, here at RESA, a group of teachers are busy completing Course Two of the K-5 Math Endorsement. Following are some of their reflections and images from their work in the course. "It was so freeing to be able to teach without the constraints of a formula! I laid out the success criteria for my students: you had to be able to solve with a visual model and explain your thinking. There would be no reciprocal (I never said that word until I had a student discover it. ), no shortcut taught, and I got great results! It motivated them to find a shortcut themselves, but I kept pushing them to show me why their shortcut worked. They really dug deep." " During this course, I have learned how to examine the standards more closely and implement better lessons. The readings and class activities in this course have improved my knowledge and ability to plan and implement more engaging activities." for the Summer Math Academies. This past fall, I had the pleasure of visiting Mrs. April Clark’s (pictured left) third and fourth grade Social Studies and ELA classes. 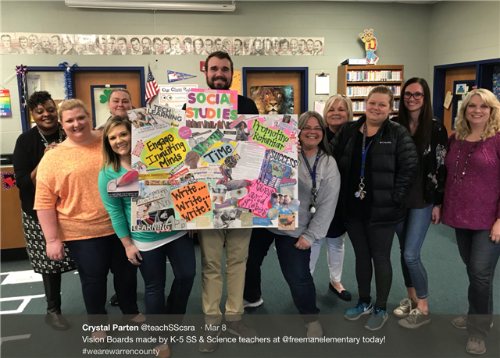 Mrs. Clark’s class was dynamic – she incorporated a fusion of reading, discussion, videos, a sorting activity, graphic organizers, writing, and story-telling in her Social Studies classes. 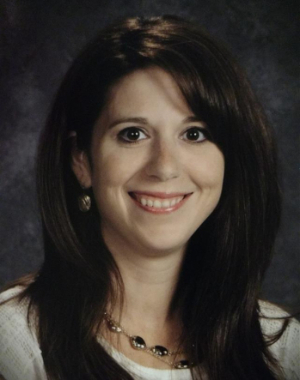 Recently, Mrs. Clark wrote a fantastic fourth grade unit plan in completion of an assignment for her Master’s Degree in Early Childhood Education. The unit focuses on SS4H4a: the contributions and challenges of 19th century reformers. In her unit plan, Mrs. Clark integrated several instructional strategies from the Inquiry PLC including: I See/I Think/I Wonder, Quotation Mingle, Jigsaw, and Close Reading. 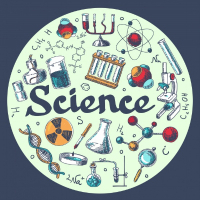 In the lesson, students are asked to practice several historical thinking skills: developing questions, analyzing visual sources, close reading an historical text, analyzing primary and secondary sources, supporting claims with evidence, and many more. The writing assignments in this lesson not only support the Social Studies content but reinforce the writing skills in their ELA class. It is truly a rigorous unit that will engage, challenge, and inspire her students! If you would like to access her unit plan and resources, you can follow this link: Mrs. Clark's Unit Plan. 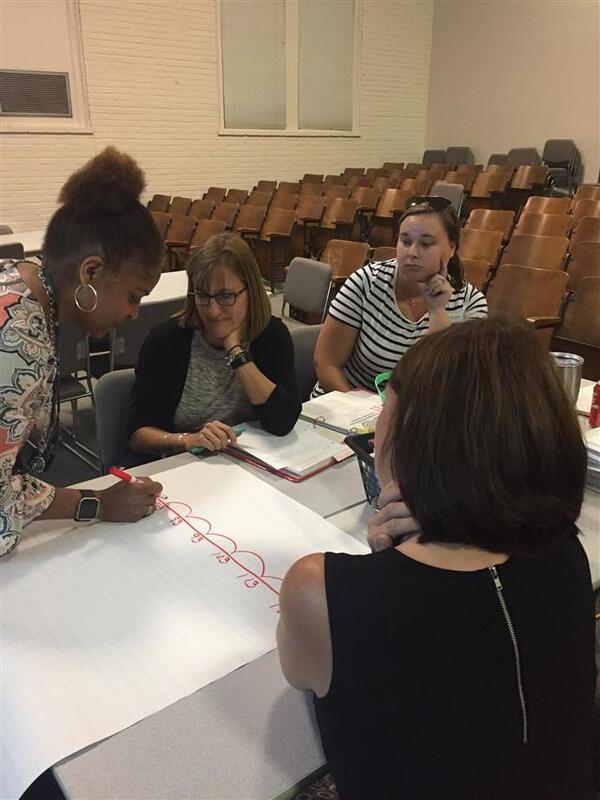 This year, the focus of CSRA RESA Social Studies has been INQUIRY. 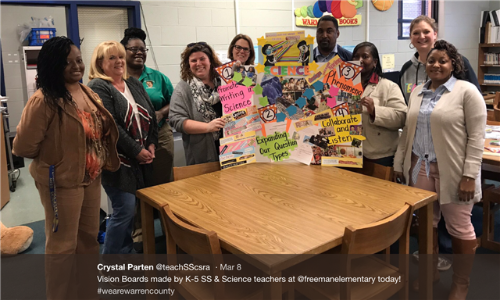 Our Social Studies Consultant, Crystal Parten, has led an Inquiry-Based Learning PLC at RESA and in several school systems including Warren County, Lincoln County, Glascock County, Emanuel County and Columbia County. 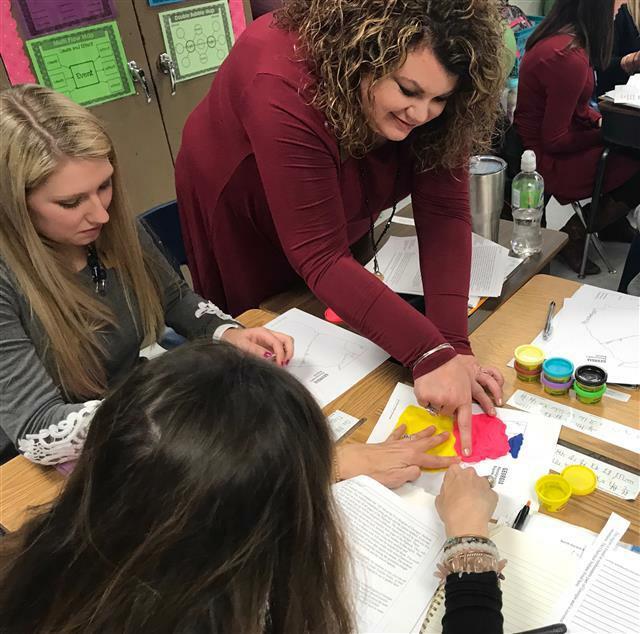 In the Inquiry sessions, Crystal teaches instructional strategies that help teachers fuse more inquiry into their classes daily. Participants learn and practice the strategies in the sessions and then try them in their classrooms. 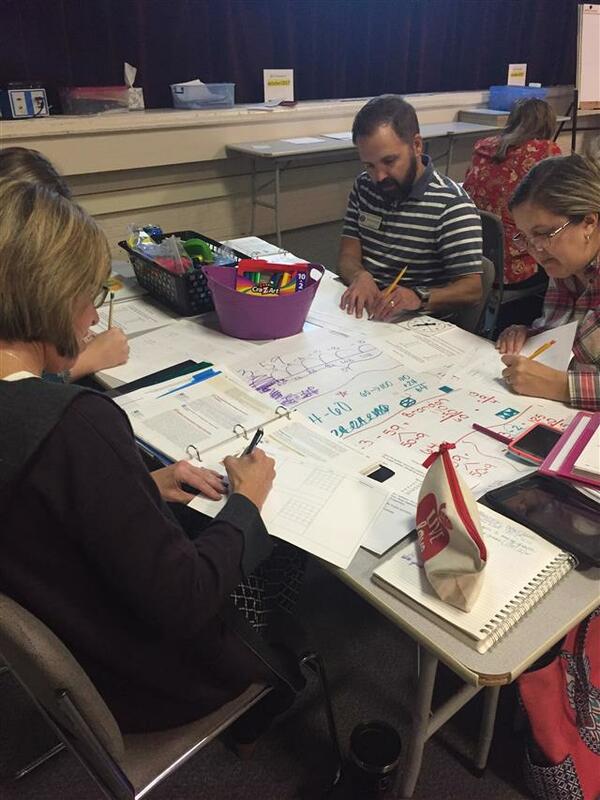 Each session, teachers bring back student work and feedback on the strategies. By the end of the Inquiry PLC, teachers will write their own full-length inquiry lessons. While there are many approaches to planning an inquiry lesson, the 5E format was used for the Inquiry PLC. This gradual approach helps teachers learn what works for them and allows for some trial and error before jumping into a full inquiry lesson or unit. 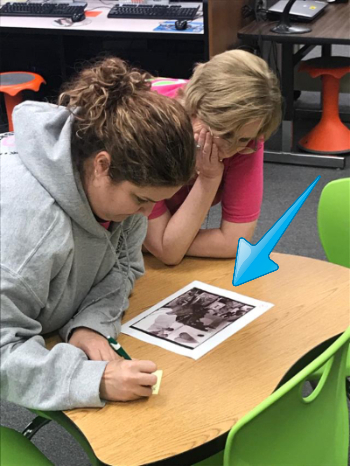 In the images below, taken at different schools throughout this year, teachers are practicing the strategies and making interesting observations.